This patient obtained brighter and softer eyes after magic epicanthoplasty and non-incisional ptosis correction. 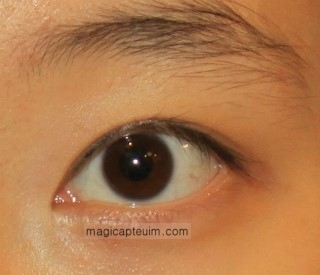 She had done ptosis correction at other clinic 2 years ago, but the result was disappointing. Befor surgery, her mongolian fold was very tight so her epicanthic skin dragged down, making her head of Mongolian fold and inner corner of the eyes direct downward. Her eyes look blurry due to the lack of pupil reveal and tilted inner corner. Inner corner plastic surgery was added to Magic epicanthoplasty in order to recover inner eye lines as horizontal as possible.. Non-incision method was used to make vivid and smooth eye lines shaped like the curve of the half moon. Her eyes are now more smooth and clear after ptosis correction and Magic epicanthoplasty which helped her eye opening power mucle rebalance. 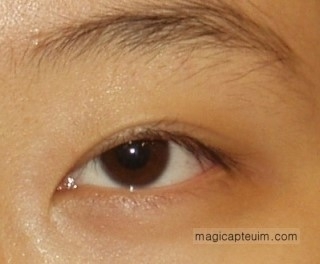 Magic epicanthoplasty can be a great help for people who’s Mongolian fold have strong vertical tension. Above case shows the effect of these magic epicanthoplasty and non-incisional ptosis correction combined together.